You can’t deny the romantic attraction of York. The abundance of period buildings, the winding river and the striking Minster have guaranteed the city a spot in every Best Places list going. But these days this city is a mini metropolis of cool cafes, interesting bars and destination restaurants. It even has the fastest internet in Britain. So, it’s little wonder that it now gets ranked at number one. What makes a home a hot spot? The Sunday Times survey revealed that the Great British public were particularly keen on Georgian architecture when it came to favourite locations for setting up a home. Bath, Chichester and Chester all joined York for architectural delights. But interestingly, proximity to Waitrose was also a deciding factor for many. This goes to show that while heritage and history are important – people also strive to find a mixture of old and new with a healthy dose of convenience thrown in. Indeed, those who compiled the data said winners were picked based on a variety of factors, including quality and diversity of shops and restaurants, standard of schooling, attractiveness and community spirit. Other factors include life expectancy, broadband speed, crime rates and transport links. Why does York stand out? 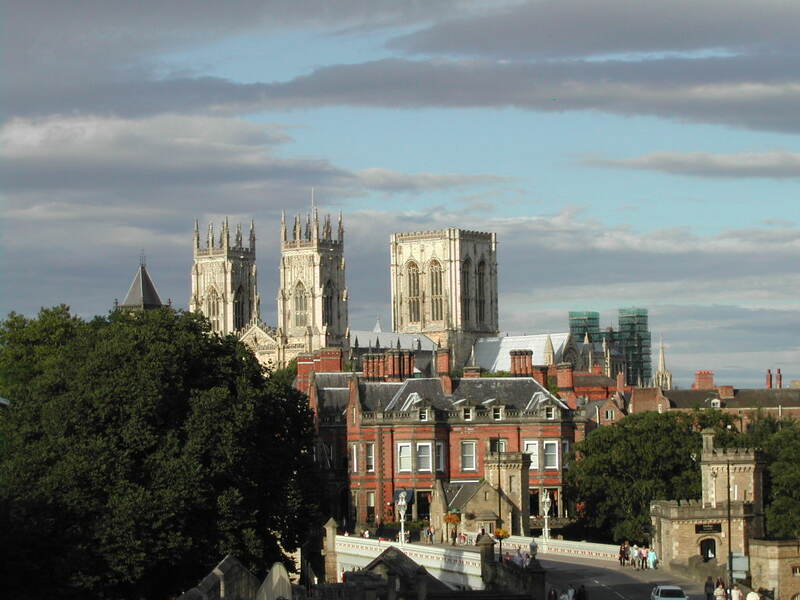 York boasts 2,000 years of history that started with the Romans. But although it has retained this heritage and protected and nurtured its old buildings, it has also evolved. So much so that this compact city, which is half as big as Leeds, has been hailed the UK’s first “Gigabit City”, offering broadband speeds of up to 1Gbps (one gigabit, or 1,000 megabits, per second) to tens of thousands. This has attracted a wealth of businesses to the area and with it an economic boost that has enabled development within the confines of its historical backdrop. Take the £6m redevelopment of York Theatre Royal for example. The brief was to create a building fit for the 21st century audience and involved transforming the main front of house spaces to create a building that met the needs of modern audiences. And every stage undertaken by York Citizens Theatres Trust and York Conservation Trust was carefully designed to harmonise with the Grade II listed building and its beautiful patchwork of architectural styles. In a place like York, architects have to consider how to incorporate change by adding new layers to the historic urban environment in a way that recognises, interprets, and sustains its heritage values. Change is inevitable. Buildings, streetscapes, and urban areas change according to the needs of their inhabitants. And the fact that York has changed is the very reason it has become the favourite place to live in the whole of the UK. At Nicholas Jacob Architects, we carry out a number of conservation projects – creating a balance between preserving the special character, quality and significance of a place while facilitating change in a way that sustains it into the future. Like the experts who work on the built environment in York, we recognise that operating within the historic context is not a constraint but an opportunity – where the whole can be greater than the sum of the parts.